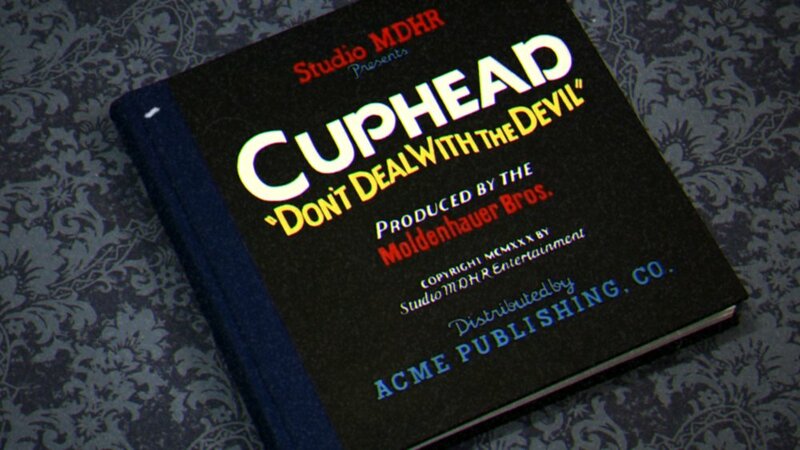 Cuphead is a neat little platformer featuring creative and colorful boss fights that reminds me of Contra and other run-and-gun games of old. You go through a world map - that looks like the one in Commander Keen 4: Keen Dreams - and fight through stages and bosses, getting coins and buying powerups, getting new weapons and uncovering special moves in order to save your soul from the devil. I've played through most of the game in co-op, and even if it became a bit frustrating because of the difficulty, I would still recommend it. Just know what you're getting into! This game oozes style, everything looks and sounds like an old cartoon and this feeling permeates the whole experience. The controls are pretty simple, you move around, you can jump (and double-jump) and shoot, you have two weapons that you can switch, and you can equip a special power that can be used when you've collected enough cards. You also can use these cards to do special shots with your currently equipped weapon. 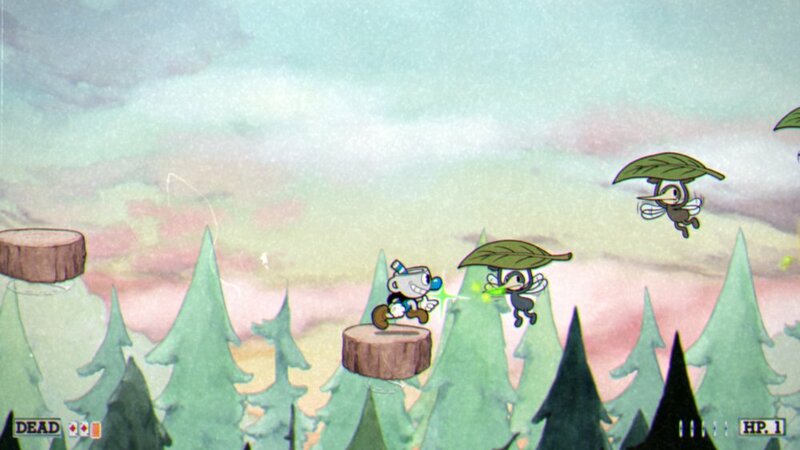 Parrying stuff is the main way you get cards (press a button in the air when colliding with something you can parry), and while it's not too difficult to do, the way the game becomes hectic sometimes makes the act of trying to parry stuff frustrating. 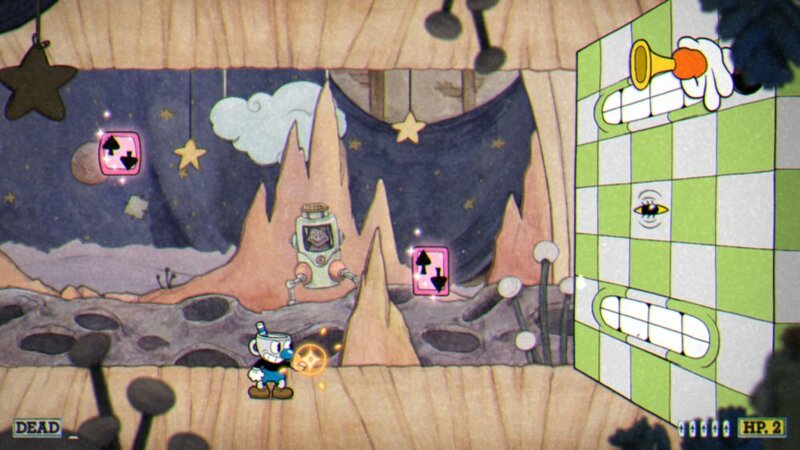 During platforming stages, you find coins which are used to unlock new weapons and trinkets with various effects, but they're all more-or-less two-sided. I kinda wish there would've been more life upgrades (and not the +1 hp (but you deal less damage)) that you can buy and more positive upgrades in general. Otherwise the game is split in two kind of stages, one is about getting through jumping and shooting challenges until you reach the end (while trying to get all coins) and there are no checkpoints, so this can go for a while if there's a spot you can't figure out and other are bosses. You can try them in 'SIMPLE' mode, but they don't count toward your required kills, so you need to go in 'REGULAR' for real progress. Whenever you die, you get an idea of how far you were in a specific level or boss, and while playing with a friend in co-op allows for resurrection whenever someone dies, it's still easy to lose and retry the same boss for the 20th time. Everything is still delightful and inventive and I just kept playing to see what the next thing was going to be. 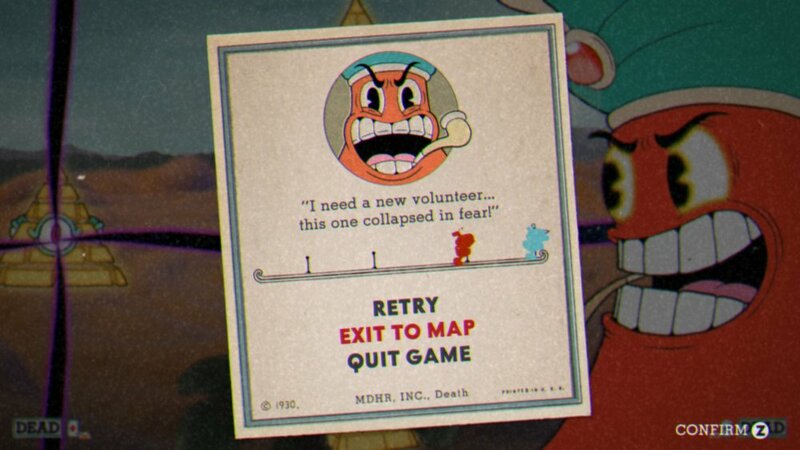 That being said, you have to clear all stages and defeat all bosses, so at times I got stuck on the same challenge for what felt like a really long time and got frustrated. Still, the variety in levels and foes made up for it and still left a pretty impression overall. 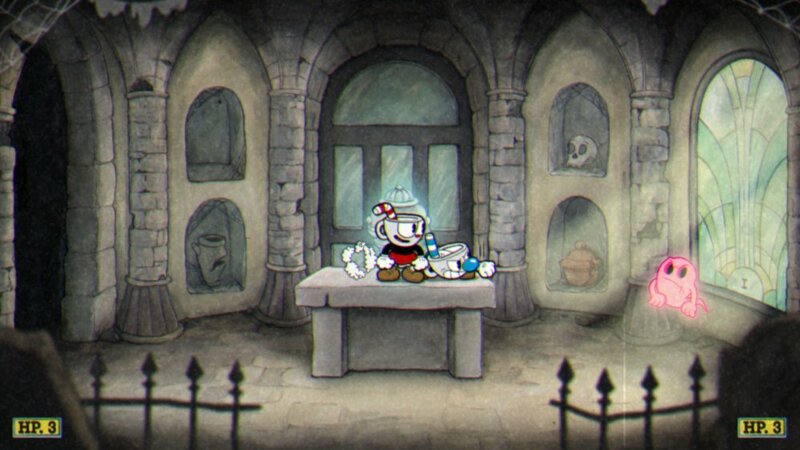 Cuphead works really well, I kinda wish there would've been a way to make all bosses and levels easier and still make it possible for me to progress, because as-is, I'll never see the last few bosses, but I'd rather leave it at that than try until I get really sick of it.